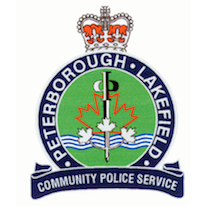 On the 28th of October 2011 the Peterborough Lakefield Community Police Service Drug Unit conducted a drug investigation involving a vehicle picking up drugs in Toronto and delivering them to Peterborough to sell. A vehicle stop was made in Peterborough and the occupants were arrested. During the arrest the passenger attempted to throw away a digital scale and then resisted the arresting officers. Police located a quantity of pills inside the vehicle. After the occupants were transported to the police station officers located cocaine and marihuana that the passenger was attempting to hide in the prisoner compartment of the marked police cruiser. The total drug seizure was 49 oxycontin tablets, 58 grams of cocaine and 2 grams of marihuana. The estimated street value of the drugs is $7,145.00. Other items seized are 1994 Audi 90, scales, cell phones and money. This investigation led police into a search warrant of the drivers residence on Monaghan Road which produced a small quantity of oxycontin tablets, cocaine cutting agent, cell phones and $1,745.00 cash. Jeremy Arbour of Monaghan Road Peterborough is facing charges of Possession of a Controlled Drug for the Purpose of Trafficking (two counts-Cocaine and Oxycontin), Possession of Property Obtained by the Proceeds of Crime and Breaching a Probation Order (two counts). Michael Baker of Cottingham Road Omemee is facing charges of Possession of a Controlled Drug for the Purpose of Trafficking (two counts-Cocaine and Oxycontin), Resist Peace Officer and Breaching a Probation Order. Both parties have been held in custody to attend Wash court on the 29th of October 2011.